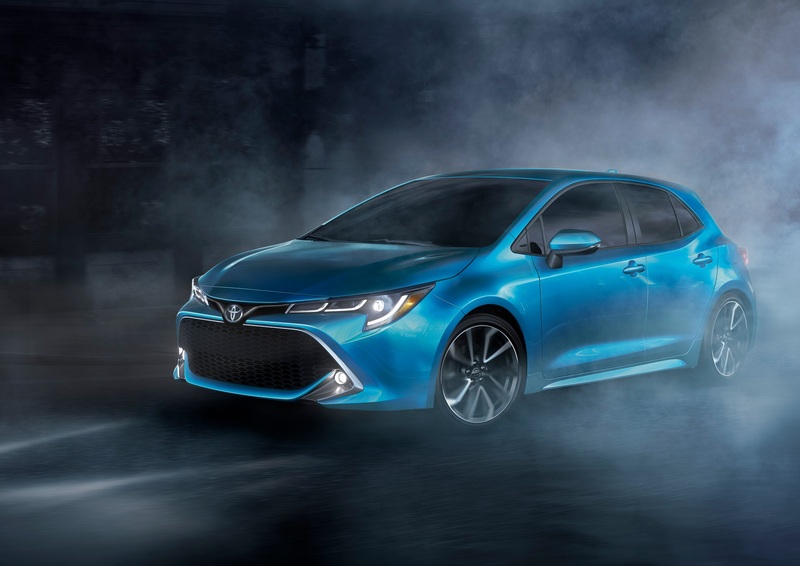 Ahead of the New York International Auto Show, Toyota has revealed the next-generation of what is arguably the most ubiquitous car in the world: the Corolla. 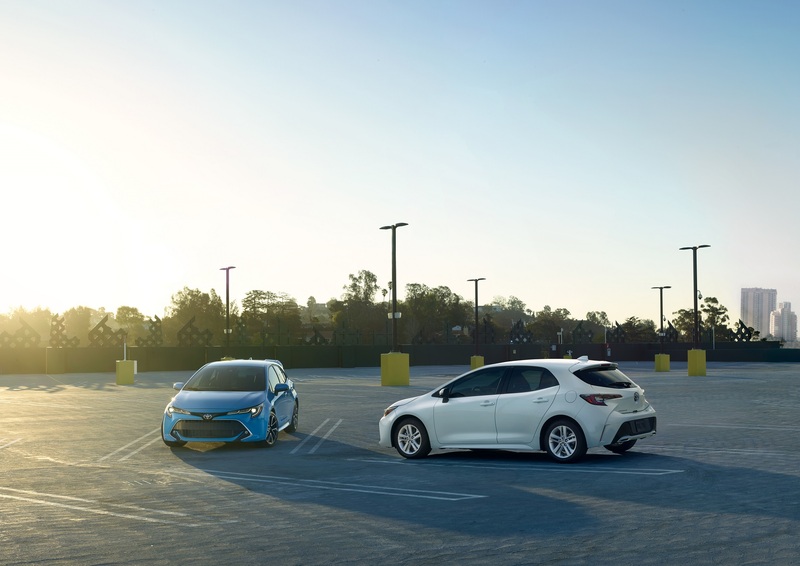 Specifically, the Corolla Hatchback. While we're only getting a look at the five-door for now, expect a more traditional three-box sedan version to drop soon before completely invading the streets of absolutely everywhere. Not surprisingly, the car we see here is quite a step up from the dated-as-hell Corolla it replaces. What is surprising, however, is the fact that the new Corolla's press release lacked any mention of turbocharging. Yes, as most of its competition turns to downsizing and forced induction, the Toyota compact—just like its Camry big brother—remains naturally aspirated. It uses a 2.0-liter four-cylinder, which Corolla-nerds (those people exist, right?) will note is more liters than the 1.8 found in the outgoing model. Despite this, Toyota says the new engine is physically smaller and lighter than the mill it replaces. Curiously, the automaker has yet to release any power and torque figures, leaving those entries in the car's spec sheet as "TBD." I mean, not that that stuff really ever mattered to most Corolla buyers but, y'know, it would've been nice to get some numbers. 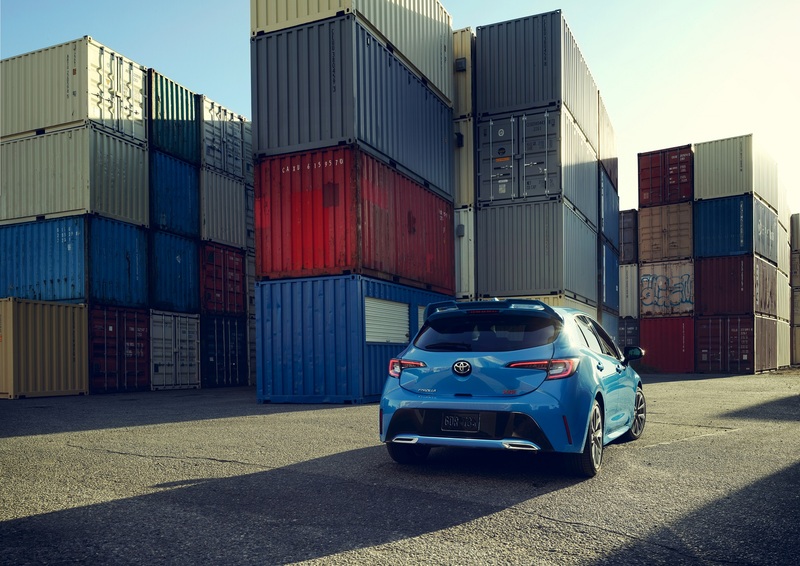 More interestingly, perhaps, are the 2019 Corolla Hatchback's transmission choices. 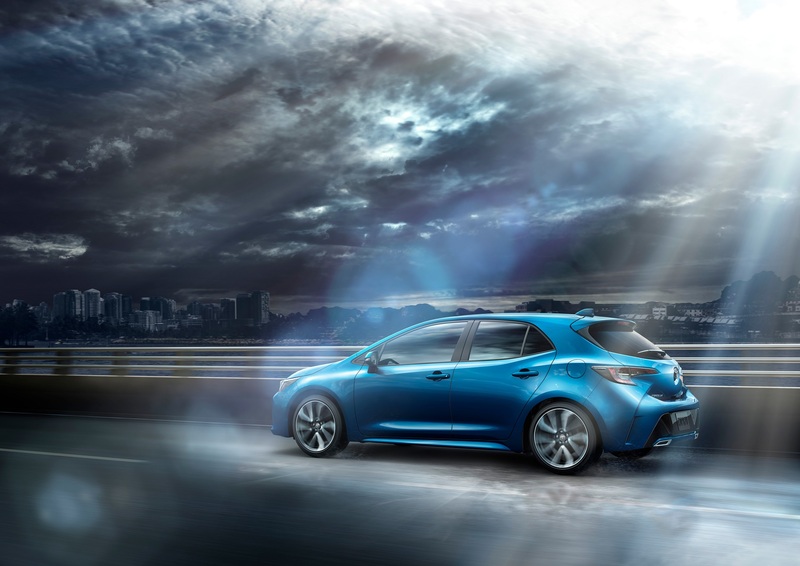 The new Corolla can be had with a six-speed manual transmission with, get this, downshift rev-matching. Yes, rev-matching on a Corolla. What a time to be alive. 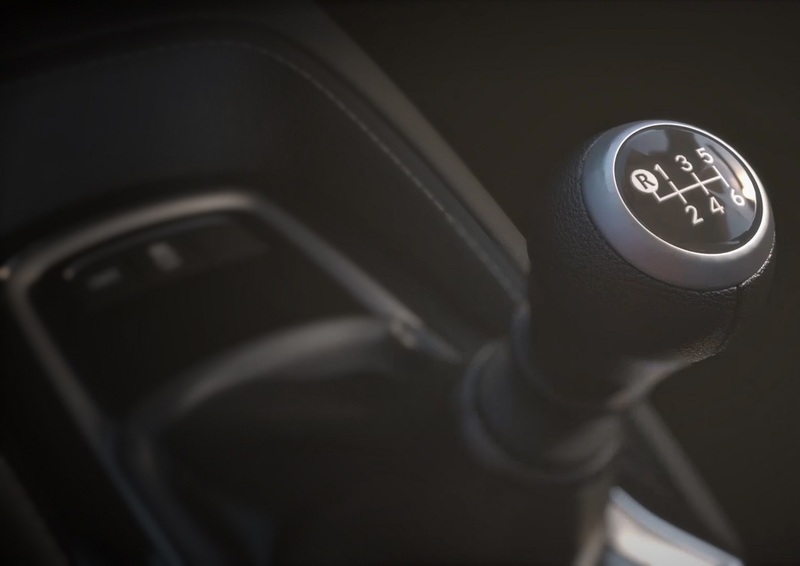 If feathering a clutch on the daily commute grinds your gears, a continuously-variable automatic is also available. 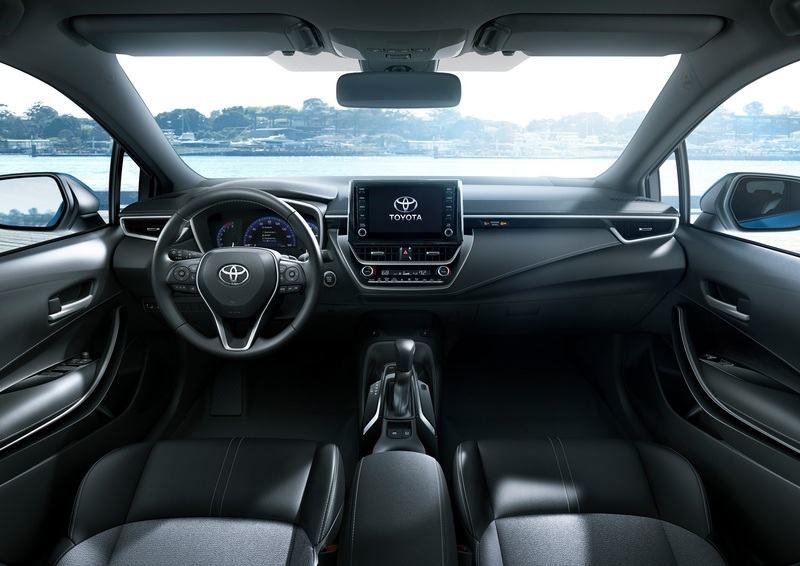 The Corolla's CVT boasts 10 paddle-operated, simulated speeds and a traditional launch gear that smooths out acceleration off-the-line. All of this is wrapped up in Toyota's New Global Architecture C platform that also underpins the Prius, C-HR, and Lexus UX. 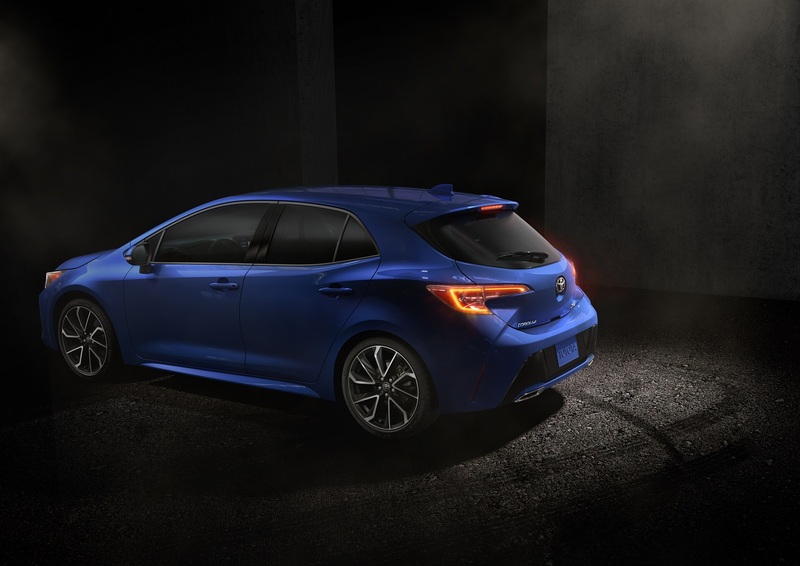 Toyota says its new hatchback is lower, wider, longer, and 60 percent more torsionally rigid than the outgoing Corolla iM. With a new "sport-tuned" suspension, the company says the compact will have enthusiastic drivers "pining for windy roads time and time again." We'll ultimately be the judge of that when we eventually get our hands on one of these things but considering how not-dull the current Camry is, don't roll your eyes at these claims just yet. 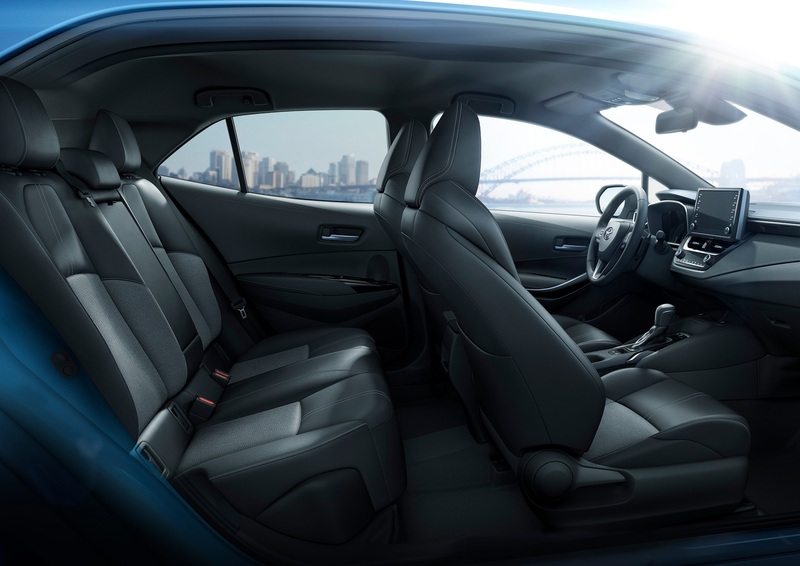 On the inside, the Corolla looks usable without being completely drab. 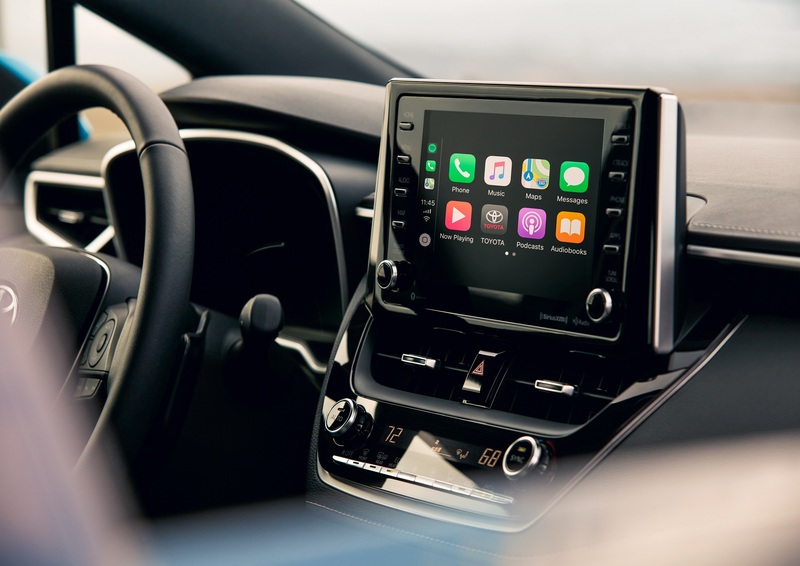 An 8-inch touchscreen flanked by hard buttons and HVAC controls are mounted high up on the dash. 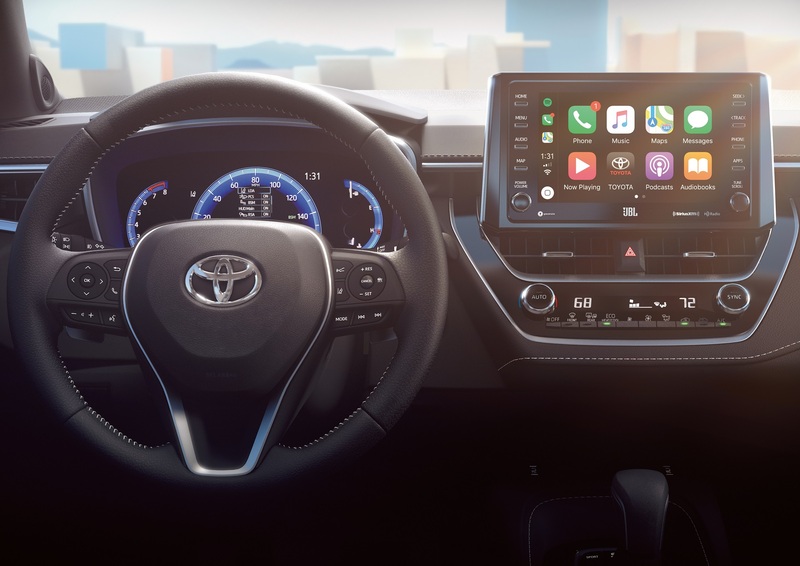 Software-wise, Toyota is finally caving in and offering both Amazon Alexa and Apple Carplay integration. Unfortunately for the 2 billion people that use Google's mobile operating system, however, Android Auto is still missing but hey, it's a start. 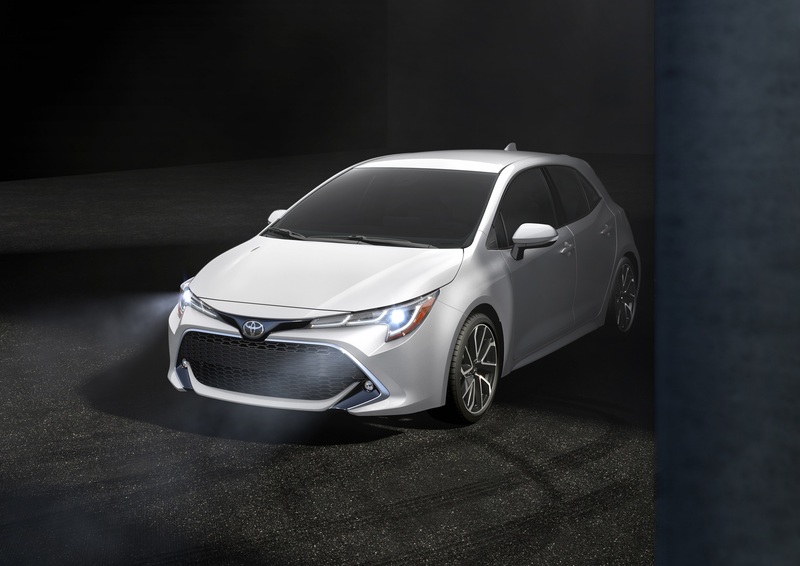 The 2019 Toyota Corolla Hatchback will be on display at the New York International Auto Show starting March 30 and will go on sale this summer. This Lego sedan is on display at the Brickman Awesome exhibition in Melbourne, Australia.